Port Erin is situated on the south west side of the island, and has the magnificent Bradda Head as an outstanding natural feature. 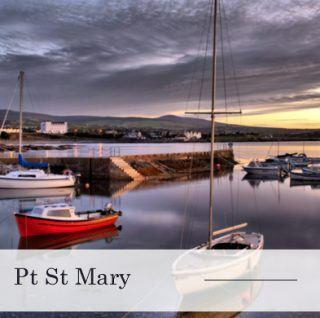 For the energetic who enjoy walking, the neighbouring village of Port St Mary is an easy 20 minutes walk – also within reasonable walking distance is the working 19th century crofters village of Cregneash (generally summer months only). From Cregneash, it is only a short distance to “the Sound”, the southernmost end of the island, where a natural history café/restaurant is situated, and visitors can enjoy wonderful views of the Calf of Man (a small island just off the south coast of the Isle of Man which is a protected area), together with the hosts of lounging sea lions – and very inquisitive they are too! The Calf of Man can be visited very easily by taking a short coastal boat trip from Port Erin. As a protected nature reserve, the Calf is well worth a visit, but please remember that there are no facilities there, and if you work up an appetite undertaking the wonderful walks available, make sure you’ve got a packed lunch with you! Moving northwards, Castletown (the original capital of the Isle of Man) is about 5 miles away. If you don’t want to walk, try taking the train – and don’t mix this train up with the type you might be used to in the UK! Narrow gauge and Victorian, this is really an experience not to be missed! Castletown itself boasts a magnificent castle, and regular re-enactments of ancient parliament meetings are worth taking in. 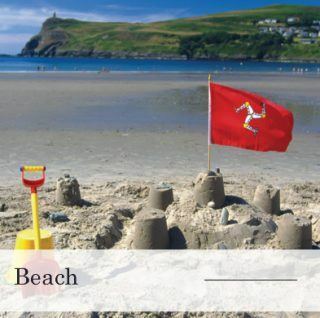 Its soft golden-white sand means Port Erin Beach is a firm family favourite. The beach has many facilities such as two swimming rafts, ice creams, cafes, kayak hire, a pub at the stone breakwater and the toilets. The Port Erin Railway Museum is located quite literally at the end of the line – on the platform of the most southerly stop on the Isle of Man Steam Railway. 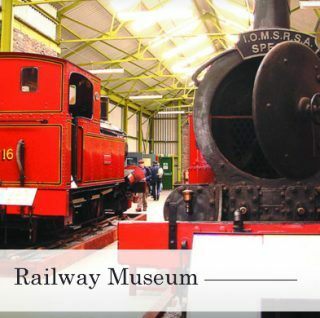 The museum charts the history of the steam powered railway from its inception in 1873 to the present day including the now defunct lines which used to serve Peel, Ramsey and Foxdale. Walk along the tree lined winding coastal path, moving up the headland to Milner’s Tower. 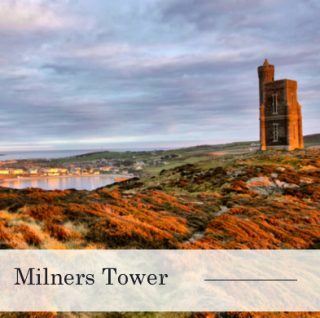 The monument is dedicated to William Milner in grateful acknowledgement of his many charities to the poor of Port Erin and Manx fishermen. 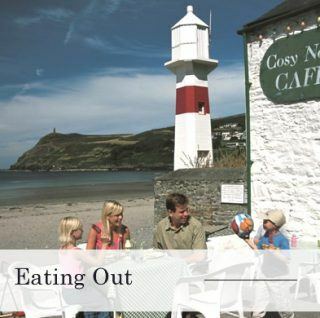 Why not have a wonderful snack right on the beach at cosy nook cafe or visit some of Pt Erins other restaurants. Port St. Mary Beach or Chapel Beach, as it is also known, is situated in the south-east of the Island and has a pretty, sandy, sheltered beach. Pt St Mary also boast the starting point for fabulous boat trips. 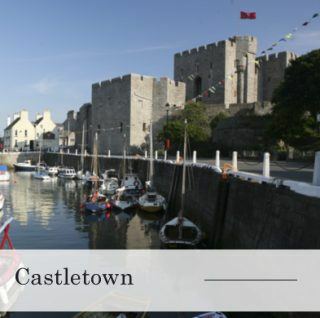 The ancient capital of the Isle of Man – Castletown – is dominated by the imposing Medieval fortress of Castle Rushen. The castle is one of the best preserved in Europe and was once occupied by the Kings and Lords of Mann. 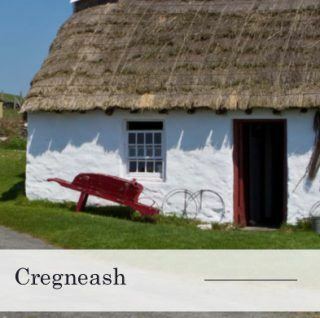 Settled on an upland plateau overlooking the Calf of Man, Cregneash village was one of the last strongholds of the Manx language and customs which characterised the crofting way of life. 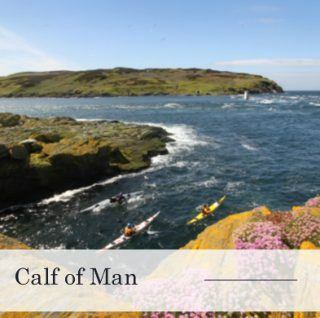 The Calf of Man, found off the southern-most tip of the Isle of Man, spans just one and a half miles long, with the width being no longer than one mile. The island, now owned by the Manx National Heritage, provides the ideal destination for birdwatchers to visit.